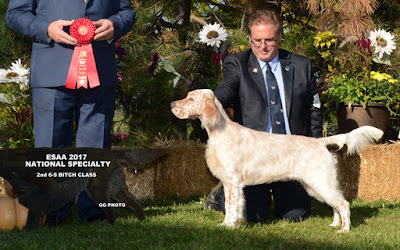 Our Mick x Kess kids shine at the National Specialty! 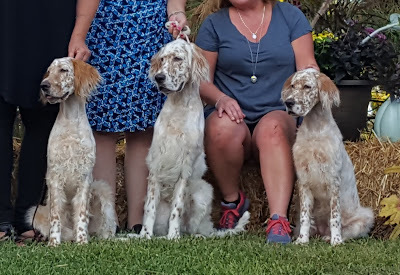 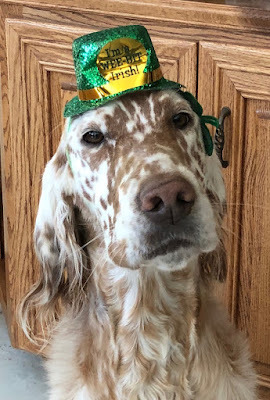 Our Change Litter - "Mick" (GCH Country Squire Center Stage) and "Kess" (CH Admiralty's The Gift) kids turned 6 months just 2 days before the National ... 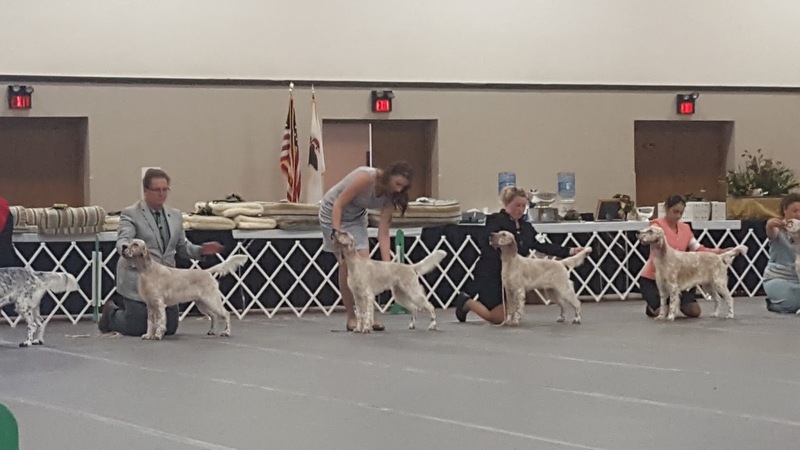 These fun, leggy kids showed us a glimpse of what their futures may hold and helped dad win the Stud Dog Class. Special thanks to all the owners and handlers of these sweet pups! 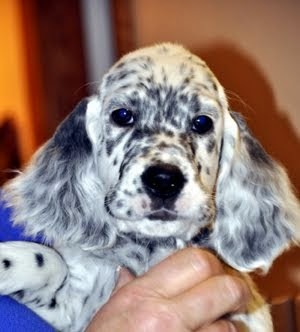 See these guys at 8 weeks. "Classy" (Linwood Classical Change) won her very large 6-9mo girls class, with "Poppy" (Linwood Admiralty Changeling) - owned by Bj Kasiski - placing 2nd! 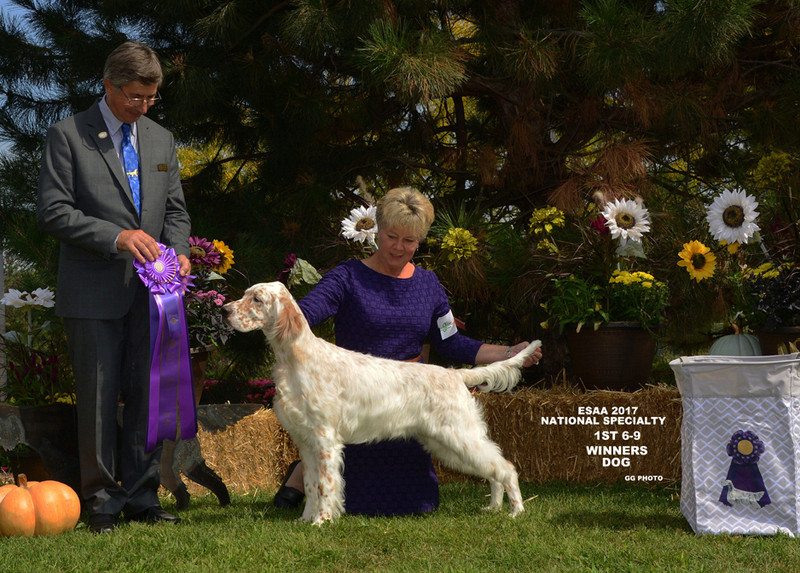 Ultimately, Classy nudged out brother "Sterling" for Best Puppy in National Specialty! These kids are bred by Lin Sell and Lori Stewart and come from our Mick x Kess "Change" litter. 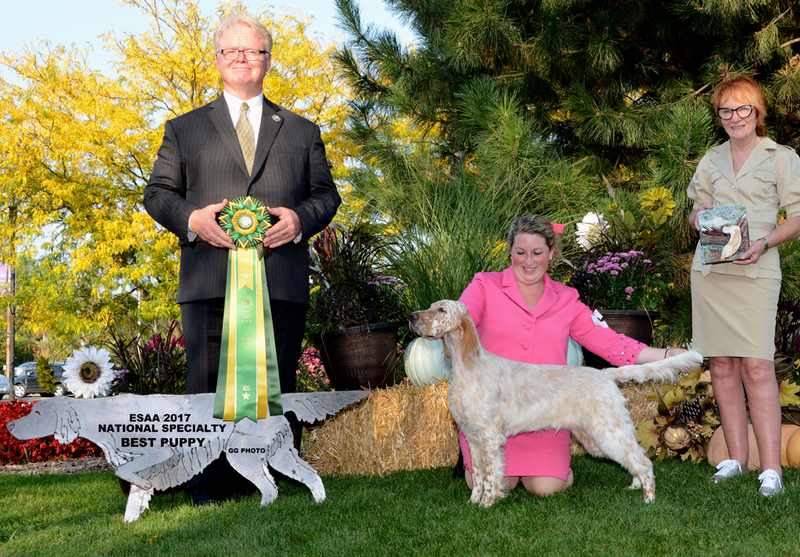 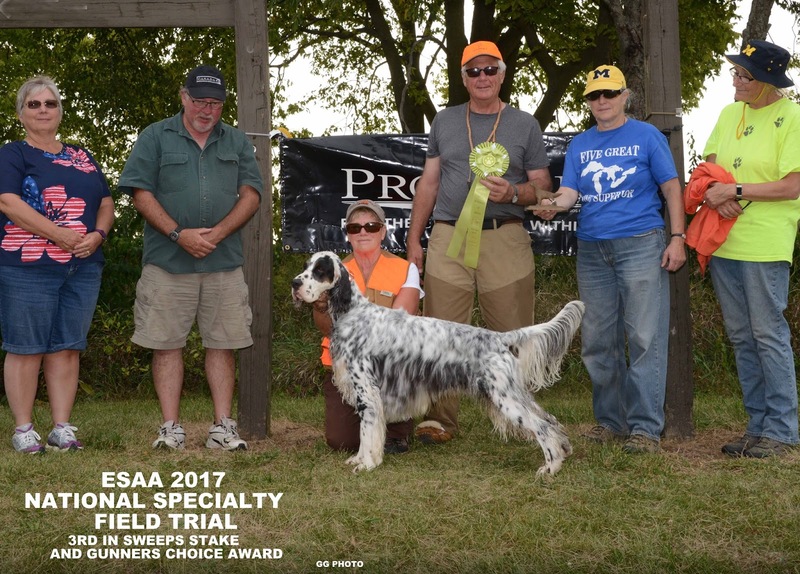 Sterling Wins WINNERS DOG at the 2017 National Specialty! What an exciting National we had! 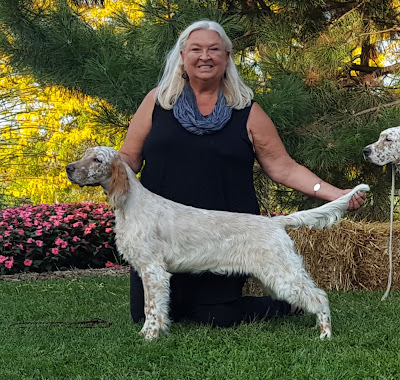 Never in our wildest dreams did we expect to do anything with our 6 month (and 3 days!) 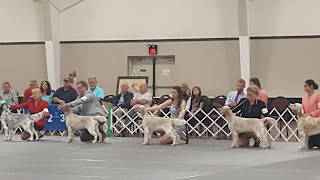 old puppies other than have fun in the ring. Man, were we wrong!! 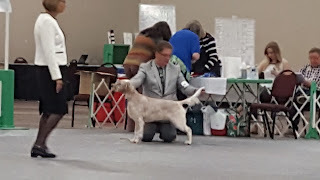 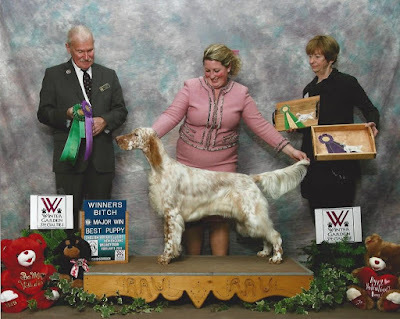 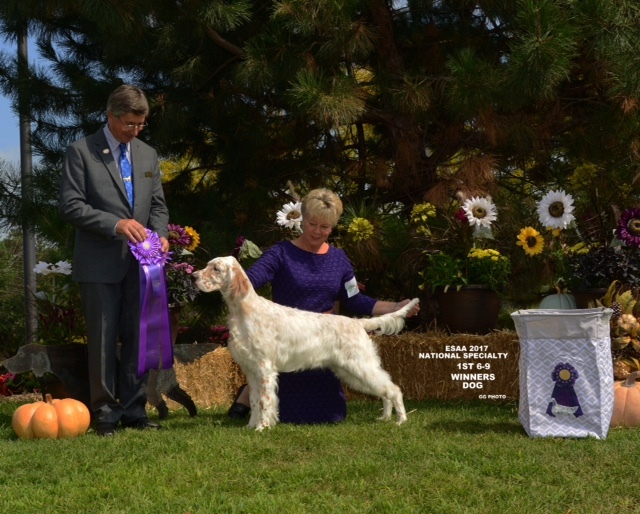 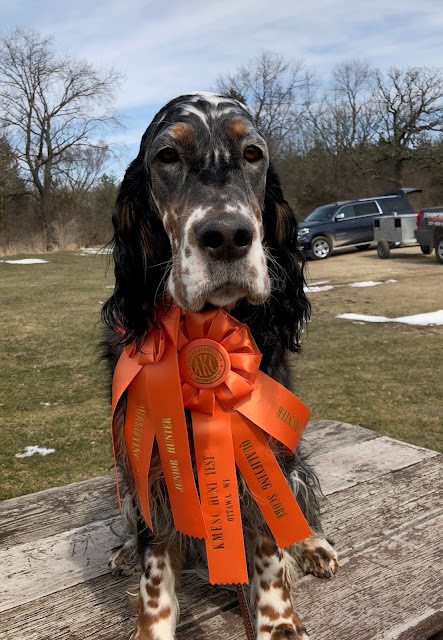 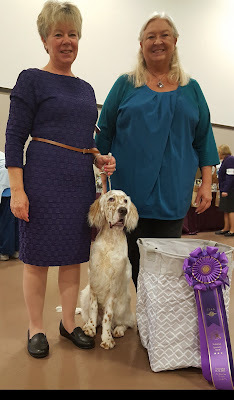 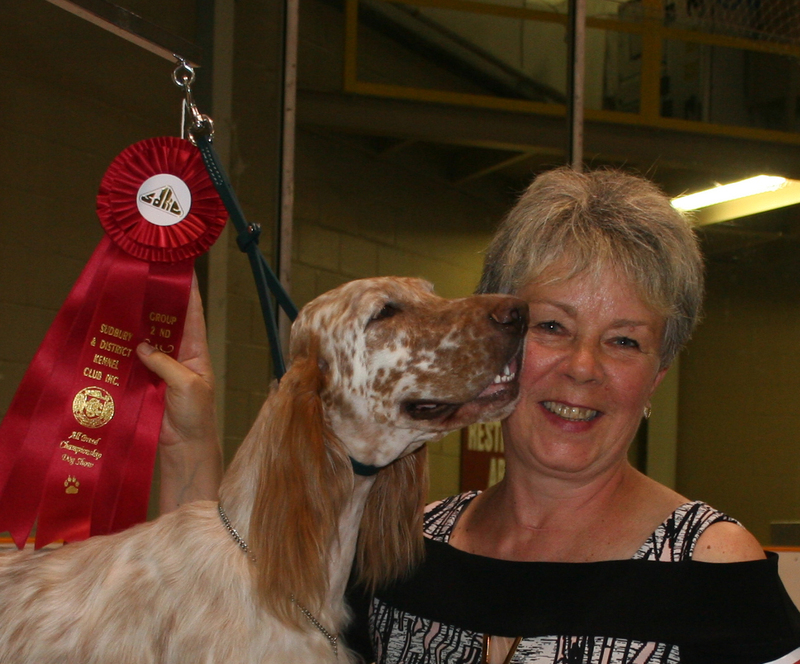 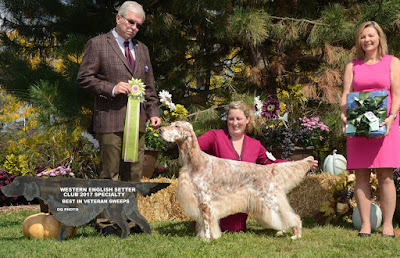 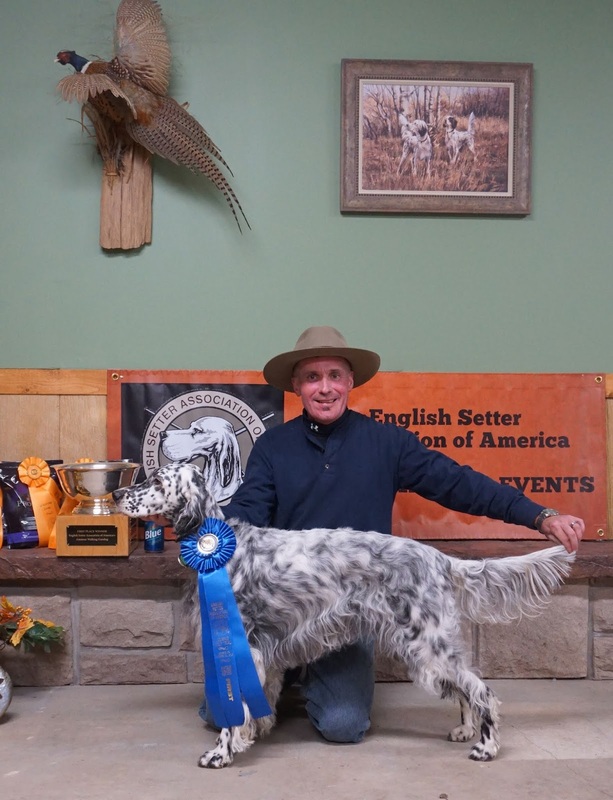 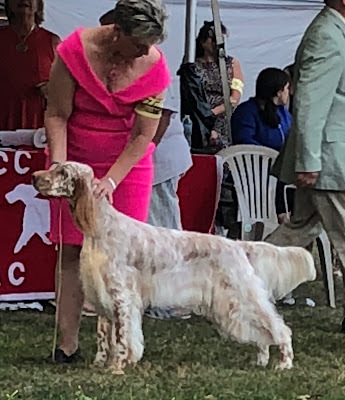 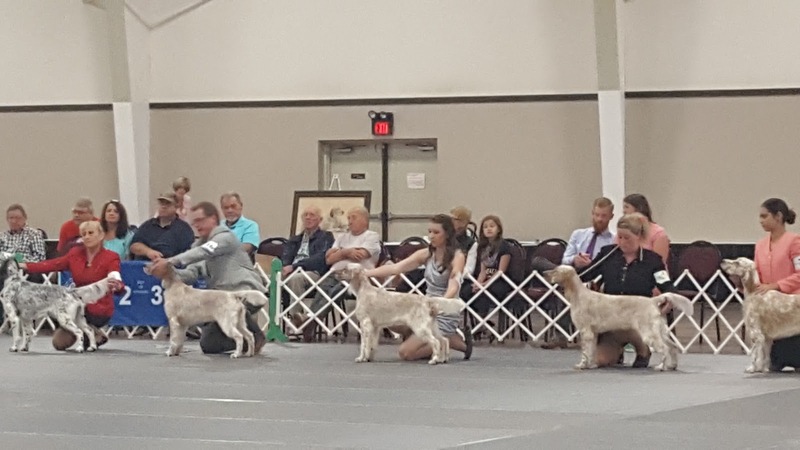 First, "Sterling" (Linwood Foreign Exchange) - owned by Gordon Hayburn and Noreen Lorenz - won his large 6-9 mo puppy dog class and went on to defeat all the beautiful big dogs for Winners Dog for a 5 point major ... there was no one more surprised, or proud, than us! 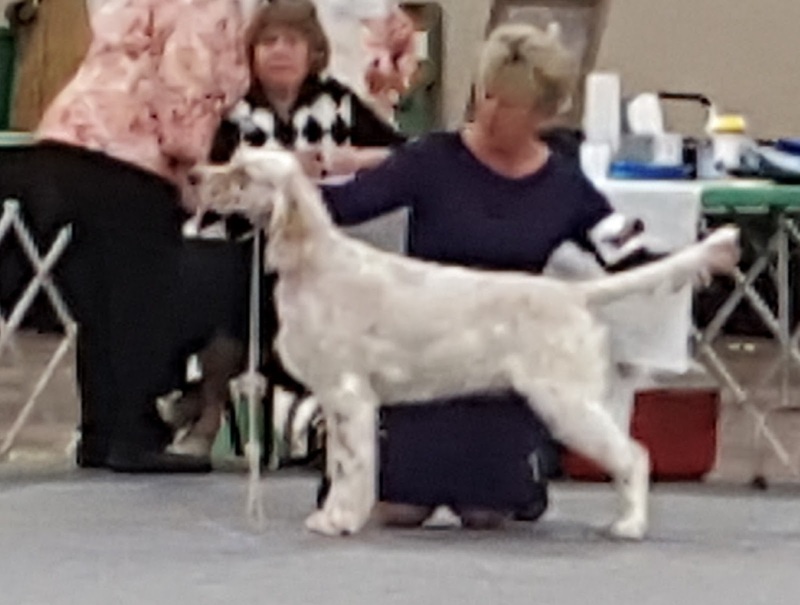 Sterling in the ring at his very first show ... 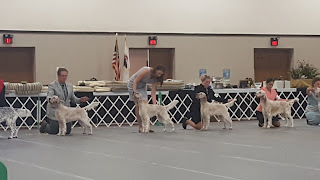 The National!